How to measure your windows. 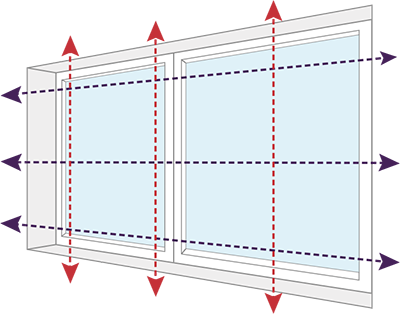 We've put together a handy guide to help you measure your windows correctly which you can download for free. Click the icon below and save the PDF to your computer or print it out so you can refer to it at any time. Top Tip: Measuring for your roller blind is slightly different because the overall width of the blind including the brackets is approx. 3.5cm wider than the fabric. With this in mind you can choose to measure from where the brackets will sit ('bracket to bracket') or the area the fabric will cover ('fabric width'). 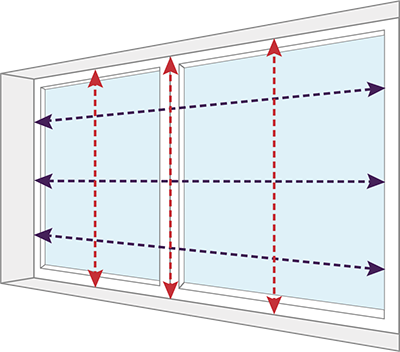 Measuring for bay windows couldn't be easier, please choose the correct guide for the product you require. 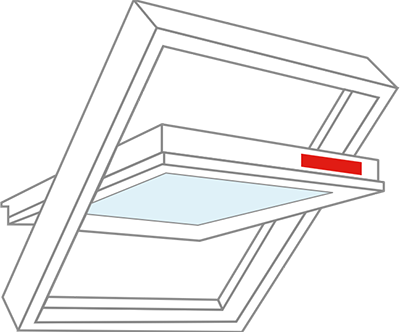 Every VELUX ®, Fakro, Dakstra and Rooflite roof window carries a data plate that details the code of the window. Check you window's code number and simply select that when ordering your blind. Put your tape measure away, you don't need it! Keylite make it a little more difficult for you to save money on replacement loft blinds by not putting an identification code on the windows. To identifiy the correct size blind for your keylite window you just need the size of the window unit. 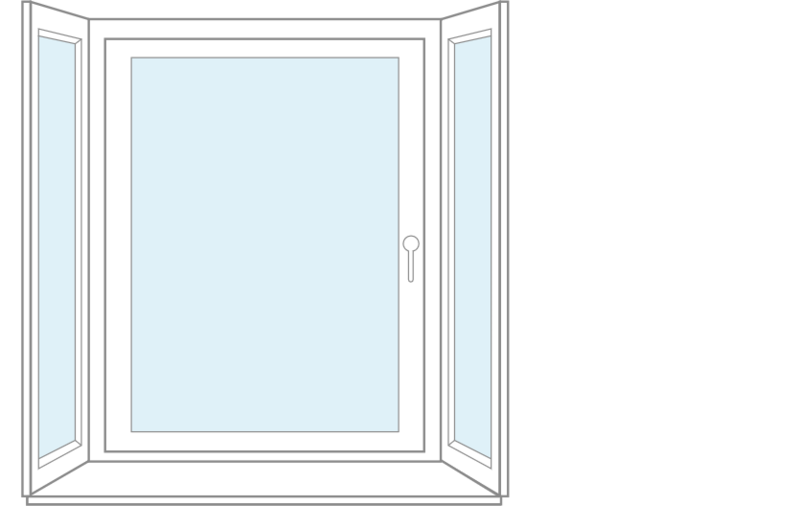 If the window is an old unit and you no longer have access to the size ordered simply measure the visible glass (width and drop), give us a call and we can tell you which blind to buy. All of our ClickFIT and EasiFIT conservatory blinds fit neatly inside the frame of your window or door to effectively cover the visible glass. The little clips slot easily between the frame and the glass for a strong and secure hold on all UPVC double glazed windows and doors with a rubber bead. For accurate measurements, make sure you use a metal tape; cloth ones can stretch leaving you with inaccurate readings. Measure accurately to the nearest mm and remember to measure each window and door individually, don't assume that they are all the same size! The video will walk you through the straightforward process of measuring for your blind. Or, if you prefer, you can read through the process using the simple step by step instructions below. 1. ClickFIT and EasiFIT blinds are specially designed for UPVC windows with a rubber bead and measuring for them couldn't be easier. All you need is a pen, a pad and a metal tape measure. 2. 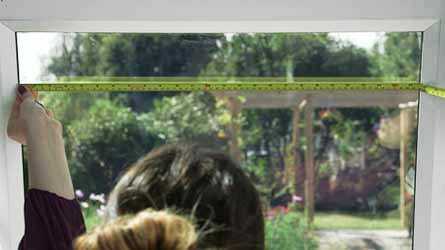 Simply measure the visible glass area of your window. Measure from the inside edges of the frame where the glass meets the rubber bead. You shouldn't include any of the beading or rubber seals in your measurements. 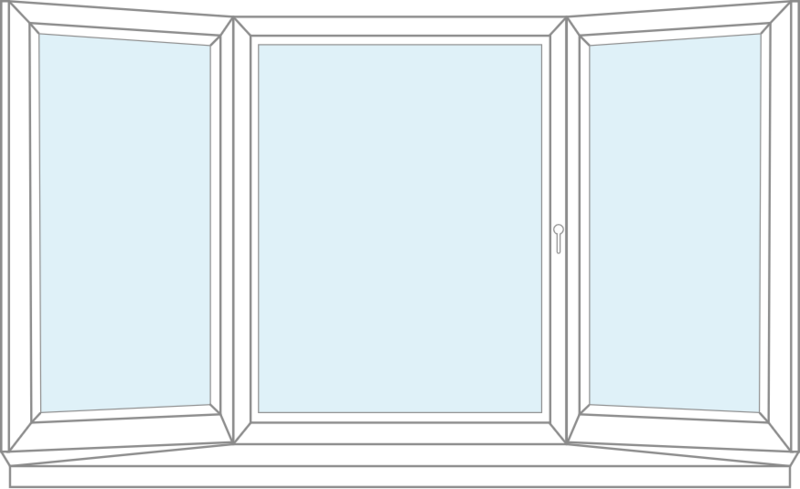 Measure the top, the middle and the bottom of the window to the nearest mm and note down the shortest measurement. 3. Then simply repeat this step for the drop, measuring the left, the right and the centre. Again, take a note of the shortest measurement. 4. Don't forget to measure each door and window individually; don't assume that they're all the same size. And that's it, nothing more to it! 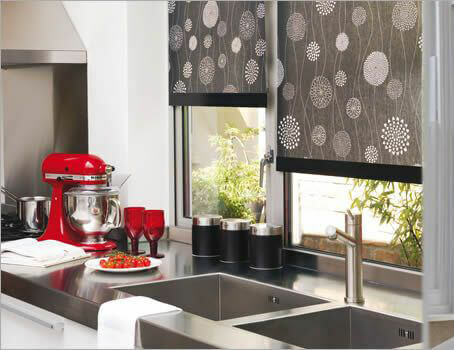 Measuring for your ClickFIT & EasiFIT blinds really is that simple.